Banana Leaf has a dreamy thali for idli lovers and we explore why you shpuld plonk yourself at one of their outlets, for breakfast. The thali comes with various kinds of idlis that will sufficiently douse the craving for a good South Indian breakfast. 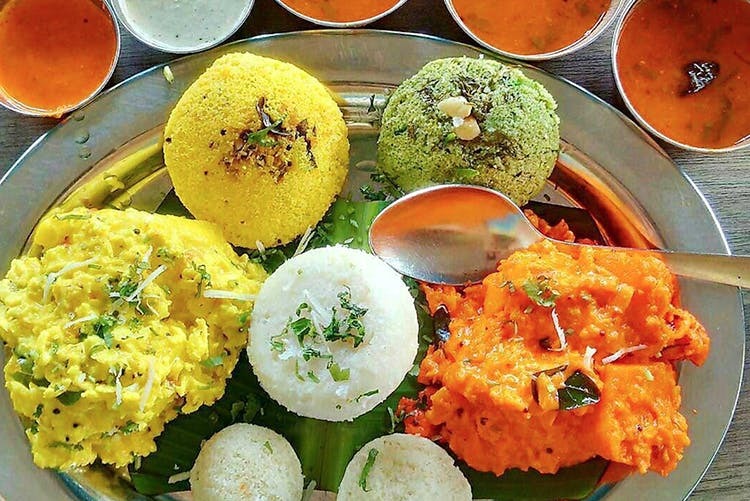 Priced at INR 175, it includes palak idli, dakshin idli masala, mini idli, Vagharela Poriyal idli masala, special kanchipuram idli and rice idli. Served with sambar and coconut chutney, it definitely makes it to our list of places to hit up for brekkie. If just plain idli doesn’t do it for you, it’s time to step up your game and head here to gorge on this beauty.